What makes writing “weak,” and are you able to identify the specific aspects of your writing that are weak? Writers can be hard on themselves. They may think everything they write is lousy. But “lousy” is a vague word — and that general self-judgment doesn’t help you move beyond “lousy” writing. Check out these eight specific signs of weak writing and how to strengthen each one. Stefanie Flaxman: Hello there, Editors-in-Chief. I am Stefanie Flaxman, and you are listening to Editor-in-Chief, the weekly audio broadcast that delivers the art of writing updated for marketing in the digital age to help you become the editor-in-chief of your own online business. Today’s episode is called 8 Signs of Weak Writing That Turn off Readers. The macro theme of the episode is content creation. The micro theme is improving weak writing. Weak writing is writing that is just ‘there.’ It doesn’t make an impact. It’s not strong. It’s not captivating. It doesn’t have any real effect on the reader when their eyes go from left to right and read the text. It’s just there. It’s weak. It’s not that powerful, all-consuming experience that someone has when they’re reading strong writing, where nothing else in the world exists at that time except for that writing. That would be strong writing. You want to aim for that. You want to look for the weaknesses in your writing and improve them. I have eight that I’m going to go over in today’s episode. And I’m going to get into, first, what the weakness is and what it could look like in your content. Then I’m going to go over how you would go about fixing it. It’s smaller-picture ideas and bigger-picture ideas, but they are things to keep in mind when you are reviewing your content after you’ve written it. You can also use these in conjunction with the five-step system that I outlined in a previous episode. I will put a link to that in the show notes over on EditorinChief.FM. It is my ‘Traffic Light Revision Technique’ for editing your own writing. You could use these weaknesses or these signs of weaknesses — you can keep them in mind — when you use the Traffic Light Revision Technique. They sort of go together. What does a rough draft of your content have in common with all the other content that’s out there online? Too much. It has too much in common. I’m sure you’re aware that there are countless other writers musing about the same ideas you are and in similar ways. The goal of a typical first draft is to transform your scattered thoughts into a cohesive article that explains a topic to your target audience. Why should readers choose your content over another writer’s work? What makes it special? 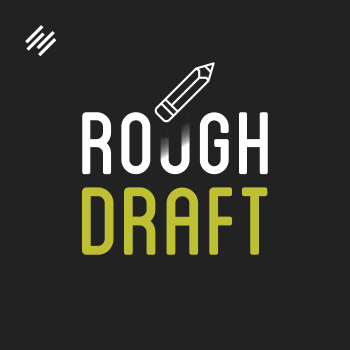 If you don’t take the time to revise your rough draft in a way that shows you are an authority and that you have a solution that isn’t available anywhere else, they won’t. They’ll find the person where whose content does. To help you narrow down what you should be looking for in the first drafts of your content, here are the weaknesses and also how to fix them. There are eight of them. I’m starting with number one. Shocker. Okay, weakness number one — you have an undefined strategy. You haven’t clearly defined why you’re writing. Your content has no direct purpose, and you only write when you’re inspired, so there’s not a content strategy in place, in really simple terms. You’re randomly putting out content on your digital media platform that is very unfocused. Do you know any other writers who have started websites and blogs and then quit after a short period of time? Have you done that yourself? You don’t want to make the mistake of writing without a plan. This is your job. You are the Editor-in-Chief, and it’s your job to plan — and then adapt accordingly. I have my ‘Prepare; Don’t Plan’ philosophy, which is also an episode of a past episode of Editor-in-Chief you can check out. I’ll put in the show notes. As the Editor-in-Chief, you have to have a defined strategy, and an editorial calendar holds you accountable for your work and helps you produce focused content at a steady pace. How you can fix this weakness in your content creation and in your writing is to set goals for your writing before you begin. Every piece of content you create should have a goal. What are you hoping to achieve with this content? If you do achieve it, you should be able to see a result. You should be able to clearly define what that result is. “I write this piece of content. Does it generate more traffic to my site? Am I getting more email signups? Am I getting more sales?” Whatever the purpose is, you should see that result. If you’re not seeing that result, then it’s time to rethink your strategy. Start with a clear goal in mind, and keep a schedule. Again, there’s kind of a gray area between ‘you can’t write one piece of content if it doesn’t meet your goals’ and where you give up and say, “This is not working. I don’t know what to do.” That’s counter-productive. But when you keep a schedule to produce this content, then you’ll be able to produce enough content over time to evaluate what things you’re doing right and doing wrong. You need to show up. You need to show up regularly for all of these pieces to come together and for you to see results. You want to make sure you really accomplish your objectives. That’s a combination of setting the goals, keeping the schedule, and then evaluating what’s working, what’s not working. What worked that one time better than other times? It’s examining that so you can do it again, not just mindlessly producing content and hoping at some point it will work. This is all focused, intentional, calculated moves on your part as the Editor-in-Chief. Each piece of your writing that you produce should serve a larger goal that you have for your platform before readers can engage with your work. You need to know the intention behind every word you type and keep this aim in mind as you write any new content. Weakness number two is that you make a promise you don’t keep. Ways this weakness can look is that your headline doesn’t match your text, your advice is not realistic, and you don’t deliver. These are ways that this weakness will manifest in your writing. You say one thing in your headline, but when you get into your post, it doesn’t really deliver on that. Here are ways to fix that. You always want to start small. Know your limits, and promote your strengths. What that means is you don’t need to claim to have all the answers to all the world’s problems to attract readers to your media platform. In fact, readers enjoy vulnerability. You’re human just like they are, and it’s important to reinforce that notion. Start really small with what you know and what you can deliver on, instead of pretending to be the world’s foremost expert on topic X. Help the people you can help. There are people right now you can help with real information that you have based on your experience. Focus really small on that, and explain your specific expertise in a straight-forward way that doesn’t make outlandish assertions. Then follow through on your promises. It’s really as simple as that. You want to avoid that. You want your stamp and your voice and your specific point of view on the content you produce. When you don’t provide unique, ultra-specific, urgent, and useful content for your readers, they’ll lose interest and won’t remember you. You’re not different than any other writer. If you’re easily forgotten, you don’t get an opportunity to build your reputation and establish authority. Here are some ways to fix this weakness. Research. Research, research, research, research. I could say that more times. You know your topic from your experience, but find out more based on studying your topic even more, and then make those unique connections from your own experience. So it’s not that you’re just pulling things out of your head, but you’re diving deeper into a topic and then putting your specific perspective on research and facts out there that you find. Have an opinion about it. This will help you establish your brand of content. Readers will come to you because they know that Jim really does all this research, and his real-world experience on the topic is so great. He evaluates it and tells you what’s good and what’s bad about it. These are the brands, the personalities, that we go to for information because we trust what they say. This type of writing is not interchangeable with any other writing. It’s very specific to that author, to that scientist, to that researcher. We want to hear from them. You want your audience to hear from you. This also takes loads of creative energy to accomplish, because you’re adding a fresh perspective to what is already out there. Everything is already out there. Anyone could get the information out there, but you are crafting it in a way that makes it so unique to you and what you know. Aim for that. Weakness number four is that you don’t use subheads. This is a real, straight-up, online writing tip. When you don’t use subheads, you don’t guide your readers. You might have long blocks of text, and you miss engagement opportunities because subheads are another chance to capture a reader’s attention. If your headline doesn’t attract a reader, then a phrase she views in a subhead may change her mind. Well-crafted subheads are like a safety net. Your readers may be slipping away, but a strong subhead may catch them and bring them back to your message. People get distracted when they’re reading, but if something really interesting catches their eye, it’s another way to bring them back to your text so they finish what they started. Some of the ways to fix this is to tell a story, write numbered lists or bullet points, and add images to break up your text. You’re creating a whole experience for your audience. Each section of your content should keep a reader engaged. You want to make your writing easy to read in a simple way with nothing that’s too overwhelming. As you edit your content, really think about how you would feel as a reader. Break up the text in appropriate ways. You could use strong titles to introduce different sections. Like I said, you could use images that complement your topic, but you don’t want to dump everything out there. It’s not manageable to consume online. Weakness number five is that you go off on too many tangents in your writing. You may lose focus. You may ramble. Or you may imitate another writer. In an attempt to make your posts charismatic and add personality, you may add too many personal anecdotes that distract readers from your topic. It’s such a fine line between being unique and then adding in a bunch of unnecessary information. Similarly, you may love another writer’s style, so you copy their tone and voice. While you may think a certain tone and voice also matches your personality, it may actually sound inauthentic and contrived. How to fix this is to practice finding your own voice. Learn selectivity, and remember your goals. As you practice writing, you’ll learn that you can’t express all of your ideas in one article. That’s the selectivity aspect coming into play. You pick and choose the right time for certain topics. If you don’t, and you put it all in in one big mush, you won’t communicate effectively. You need to think. You may need to narrow down your objective and save extra thoughts for other posts. Save everything that you do. There might be a different place where that tangent work very well. Again, think of the reader. Think of the reader experience. If it’s something that would lose them, then take it out. Weakness number six is that you use too many words, so your sentences are too long, your paragraphs are too long, or your content is too long. I’m not discouraging long content, because as a writer, you probably have a lot to say, and you like expressing yourself. Unfortunately, a lot of the time, both of those qualities often serve you, the writer, more than the reader. Your content needs to be succinct and short-attention-span friendly. Here are some ways to fix that. When you go through your content, simplify your ideas. Use self-imposed word limits. Again, think like a reader. There’s absolutely nothing wrong with long-form content as long as every piece of information in the article is captivating and relevant. Something can be short-attention-span friendly and 3,000 words because everything is so relevant and informative. The reader flies through it and it doesn’t trip them up. They consume the whole thing in one bite, a big thing in one bite. If you make your reader strain to comprehend your points, reading your writing won’t be a fun experience. That same 3,000 words done poorly can seem like the most tedious activity in the world. A reader will probably not make it through the 3,000 words. You can practice your writing with those self-imposed word limits to help you learn to trim down your text. If you could only say your message in 500 words, 1,000 words, 1,500 words … if you had to use that word limit, what would you cut out? That’s a really great training exercise, because again, it’s not that short content is necessarily better. There’s a time for short content, and there’s a time for long content. As a writing exercise, if you say, “If I had to only use a 1,000 word limit” — let’s just say – “what would I cut out?” You learn to edit that way. Weakness number seven is that you use trite language. You could repeat clichés. You could write boring expressions, or you just present ordinary concepts. One of the negative consequences of using phrases and sayings that are commonplace and overused is that your readers will often misinterpret your message. Your true point gets lost in translation when it’s just these colloquialisms. While you think a trite expression perfect sums up your intentions, it may leave a reader confused. I wrote something the other day, and I used the word ‘hat’ twice in the sentence. I’ve said this on Editor-in-Chief, too. I said, “Take off your writer hat, and put on your proofreading hat.” That was the sentence. I read it a bunch of times, and right before I was ready to schedule it to be published, I read it again. I was like, “I’m using ‘hat’ twice in the same sentence.” I actually thought of types of hats, and I ended up changing both of those to a specific type of hat. I’m not just saying the stale language, the thing that you’ve heard over and over again. I changed it to, “Take off your writer beret, and put on your proofreader fedora.” That’s one example of how to get more specific. Weakness number eight — the last weakness — is you have no call to action. This is really relevant in your sales copy that you write when you want an audience member to do something. You don’t offer a next step. You don’t facilitate dialogue. And you limit your exposure when you don’t have a call to action. If you just wrote the best landing page ever or the best article ever for your site, you don’t want to assume that readers will remember who you are and stay in touch. You need to suggest their next move based on what you specifically want them to do. How to fix this is making your intentions very explicit. Present options to your reader, and continue the conversation. Let your audience know what the next step is. Is it subscribing to your website? Is it following you on social media? Is it emailing you to set up a consultation? Is it buying a sample product that you offer? There could be lots of different things that you want your specific reader to do. 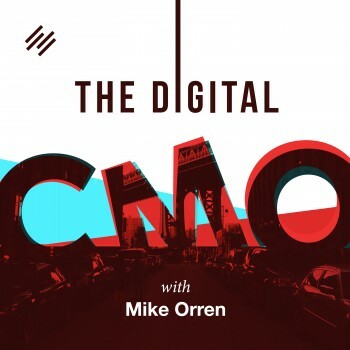 The end of your content is a chance to expand your relationship with readers by letting them know how you can connect further. There are a lot of different ways that you could do that. It depends on your situation, but you want to make sure you are doing that. Don’t assume anything. Anything, anything, anything. Readers have so much content to consume that they can’t read your mind. When you are building your digital media platform — you are building your own digital, media platform, aren’t you? You could be doing that on the Rainmaker Platform. Editor-in-Chief is literally brought to you by the Rainmaker Platform. It is the complete website solution for digital entrepreneurs. You can go to Rainmaker.FM/Platform to find out more. What you could really do if you are looking for a new place to host all of your digital media content is to go to Rainmaker.FM/Platform to take a free 14-day test drive of the platform to see if it could work for you. There are design, conversion, and landing page options. Everything that you need to build a digital business is part of the Rainmaker Platform. It is really cool. All the landing page functionality in there is pretty comprehensive, and that is an example of where you would put a call to action where you specifically guide the reader to take a next step. Those are the eight weaknesses, the eight signs of weakness, that I had for you in today’s episode. I hope you took some notes and can put that together with the Traffic Light Revision Technique that I mentioned before. If you are liking what you are hearing on Editor-in-Chief, please go over to iTunes and leave me a rating or a review. A rating just takes a couple seconds to click, click, click. I would really appreciate that, and thank you in advance if you do that. I hope you will join me next week. I have a special episode with a special guest. I know you haven’t heard from anyone but me in a while, so I have a special guest next week. I hope you will join me. I am Stefanie Flaxman. Thank you for listening to Editor-in-Chief. Now, go become one.